The workshop will take place at the Cardiff University School of Mathematics. It is located in the city centre of Cardiff. Below you can find some information on how to get here, both from within the UK and from abroad. Cathays rail station is very close to the School, but it is only served by local trains. Taking a local train to Cathays from Cardiff Central is an alternative to taking the taxi or walking. It is also possible to get to Cardiff by coach. National Express coaches stop at Sophia Gardens, while Megabus coaches stop at Kingsway. Both of these are within walking distance from the School and are marked on the map above. Residents of Scotland should also consider taking a flight from e.g. Edinburgh to Cardiff Aiport (CWL). Cardiff Airport (CWL): This is the airport closest to Cardiff. It is small and serves a very limited number of airlines. From Cardiff airport you can take the Т9 bus to Cardiff City Centre (£5 one way). Buses leave every 30 minutes and the journey takes 40 minutes. A taxi from Cardiff Airport to Cardiff city centre costs £30-40. Bristol Airport (BRS): A medium-sized airport which serves both lowcoaster (EasyJet, Ryanair, Wizz Air, etc) and major airlines. 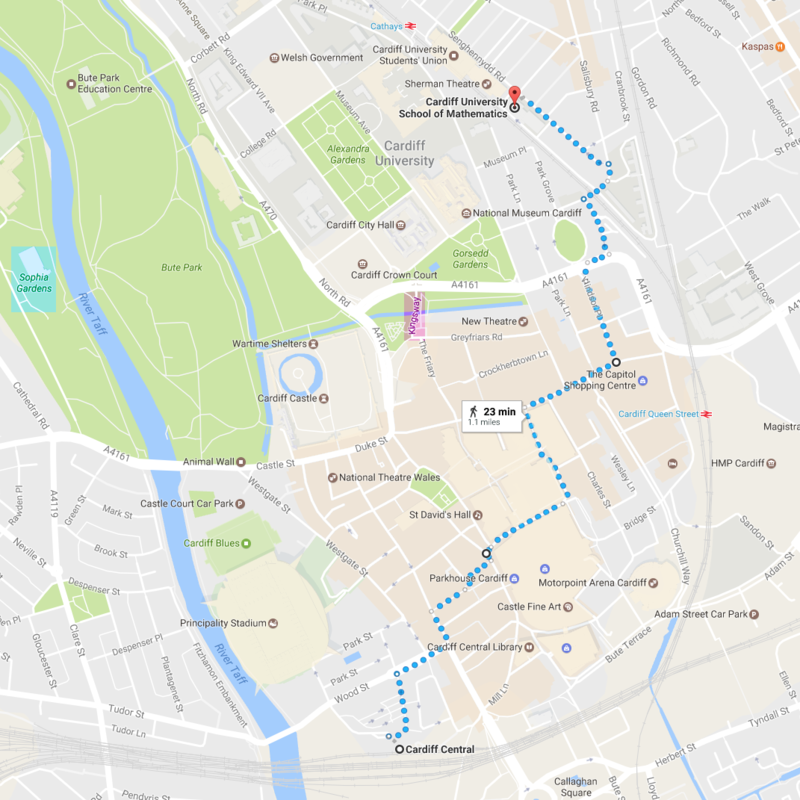 From Bristol aiport you can take either take a National Express coach to the Sophia Gardens stop in Cardiff city centre (£10-20 one way), or a local shuttle bus to Bristol Temple Meads rail station, and then a train to Cardiff Central (£20 one way). The journey takes approx. 1 hour 30 minutes. A taxi from Bristol Airport to Cardiff city centre costs £90-100. London Heathrow airport (LHR): The largest national airport, which serves all the major airlines. From London Heathrow we recommend taking direct National Express coach to the Sophia Gardens stop in Cardiff city centre (£30-40 one way). The journey takes approx. 3 hours. An alternative is taking the Underground or Paddington Express to London Paddington rail station, and then a train to Cardiff Central. A taxi from London Heathrow to Cardiff city centre is not recommended.